Flixabi® becomes the second anti-TNF-α biosimilar developed by Samsung Bioepis to receive a positive recommendation for approval in Europe. Samsung Bioepis Co., Ltd. today announced that the European Medicines Agency’s (EMA) Committee for Medicinal Products for Human Use (CHMP) has adopted a positive opinion on Flixabi® – a biosimilar version of Remicade® (infliximab), also known as SB2 – for the treatment of rheumatoid arthritis, Crohn’s disease, ulcerative colitis, ankylosing spondylitis, psoriatic arthritis, and psoriasis. Flixabi® is the second anti-TNF-α biosimilar developed by Samsung Bioepis to receive a positive recommendation for approval in Europe. The CHMP’s positive opinion will now be referred to the European Commission (EC) which will review and decide on the grant of a marketing authorization for Flixabi®. If a marketing authorization is granted, Flixabi® will be commercialized in the European Union (EU) by Biogen. The positive CHMP opinion on Flixabi® was based on Phase 1 and Phase 3 clinical studies that tested the biosimilarity of Flixabi® to Remicade®. In a 54-week Phase 3 clinical study, Flixabi® showed comparable safety and equivalent efficacy to Remicade®, as evidenced in ACR20 response rate of 65.3% in the Flixabi® arm versus 69.2% in the Remicade® arm at Week 54, fully supporting the 30-week study results of 64.1% and 66.0%, respectively. The Flixabi® study randomized 584 patients with moderate to severe rheumatoid arthritis despite methotrexate therapy across 73 sites in 11 countries. 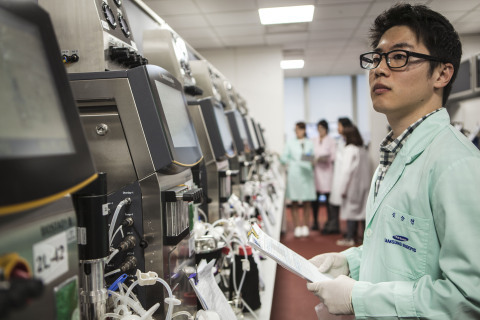 Samsung Bioepis is solely responsible for the development and manufacture of all immunology and oncology biosimilar candidates in its pipeline, as well as global clinical trials and regulatory registration in all markets worldwide for these biosimilar candidates. 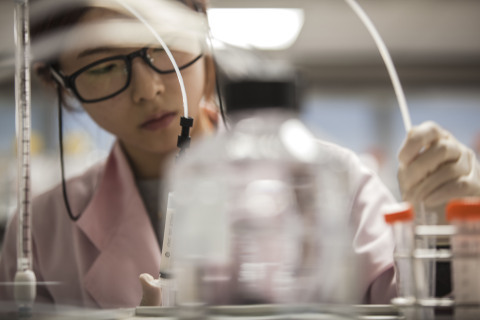 Following approval, Samsung Bioepis biosimilar products are marketed and distributed by its commercialization partners, Merck and Biogen, with whom Samsung Bioepis has commercialization agreements that cover the six “first wave” biosimilar candidates. Established in 2012, Samsung Bioepis is a biopharmaceutical company committed to realizing healthcare that is accessible to everyone. Through innovations in product development and a firm commitment to superior quality, Samsung Bioepis aims to become the world's leading biopharmaceutical company. 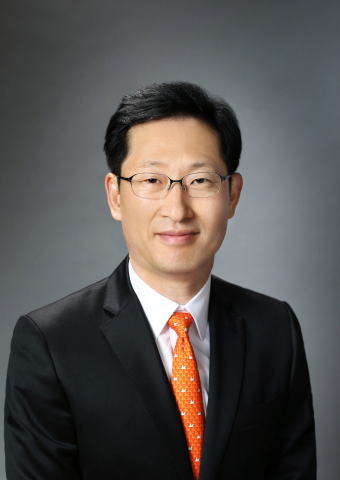 Samsung Bioepis continues to advance a broad pipeline of 13 biosimilar candidates that include six “first wave” product candidates that cover the therapeutic areas of immunology, oncology and diabetes. Samsung Bioepis is a joint venture between Samsung BioLogics and Biogen. For more information, please visit: www.samsungbioepis.com.